Industry leading companies keep employees healthy and productive by offering annual wellness screenings. 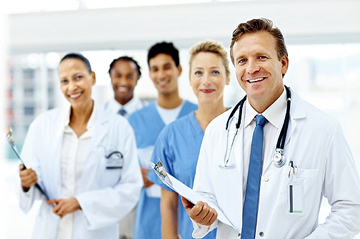 Our assistance with the administration of annual on-site physicals develops a healthy, well-adjusted workforce. Maintaining a proactive wellness program includes many responsibilities. Successful companies form wellness committees to oversee and implement health awareness throughout the workplace. A committee that coordinates new and existing employee health programs is a proven motivator. Successfulcompanies use wellness incentives and other special events designed to motivate employees toward achieving higher levels of health awareness. Our advanced programs create and maintain highly-motivated employees by offering valuable rewards. Successful companies help their employees strive to live healthier through lifestyle management, control of chronic conditions and prevention of illness and disease. We enhance this mission with health risk appraisals offering scalable, data-driven health assessments for employees. This consists of a personal wellness profile that provides a portrait of an employee's health. A guiding force behind a proactive wellness program is senior management's involvement. Leadership at successful companies understand that proper wellness within the workplace improves morale and employee retention rates while reducing healthcare costs for everyone. Often, employees need a jump-start to begin their wellness journey. Successful companies nurture this by offering professional health-related coaching. For instance, employees can receive assistance relative to nutrition, pain management, stress management or chronic medical conditions.